Wilkes-Barre/Scranton got offensive contributions from two defensemen, but it wasn’t enough to beat the visiting St. John’s IceCaps. Ethan Prow scored his first pro goal, and Derrick Pouliot cashed in on the power play for the Penguins. In the Phantoms’ first trip to Mohegan Sun Arena at Casey Plaza this season, the Penguins shut them down with a convincing 7-1 victory. 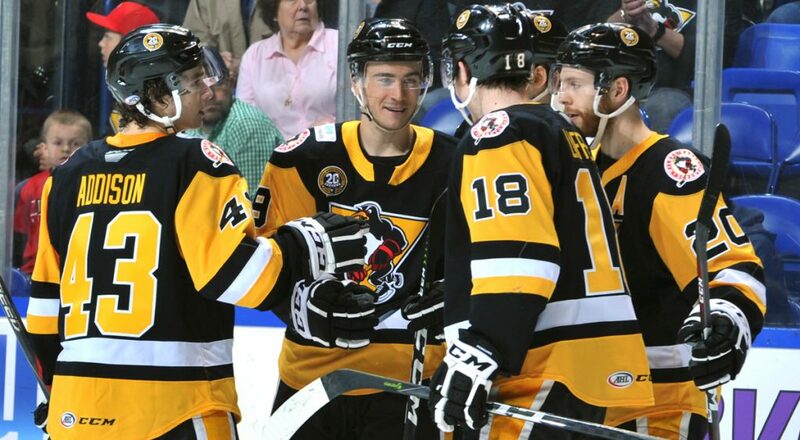 Eleven different Penguins recorded a point, while Sahir Gill, Tom Kostopoulos, Kevin Porter, Garrett Wilson and Josh Archibald all had multi-point performances. Archibald tied a career-high with three points (2G-1A), and posted his team-leading third shorthanded goal. The IceCaps return to face the Penguins for the fourth time this season and final regular season meeting in franchise history. St. John’s leads the season series, 2-1-0-0, but Wilkes-Barre/Scranton is 17-5-1-0 all-time against the IceCaps. 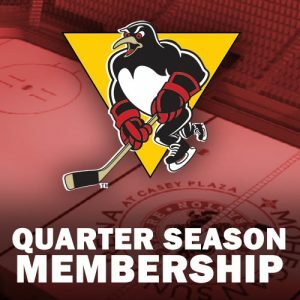 The resurgent Hershey Bears come to Northeast PA to take on the Penguins. After starting the New Year 2-6-2-1, the Bears have now won four-straight. 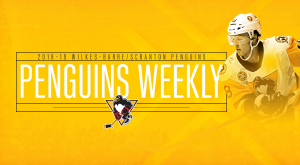 Wilkes-Barre/Scranton holds a big advantage in the season series, winning seven of nine meetings so far. The Penguins have gone 4-1-0-0 against the Senators this season as the two teams prepare for their sixth and final meeting of the year. Wilkes-Barre/Scranton won the last head-to-head, 6-2 at Binghamton. Saturday’s game is also the Penguins’ Military Appreciation Night. – The Penguins are 10-2-1-0 when coming off of a loss this season. 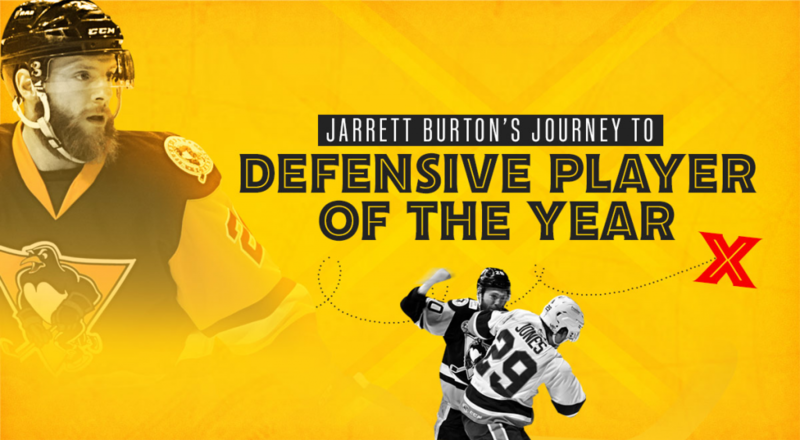 – The Penguins are 15-1-1-0 in the second game of back-to-backs. 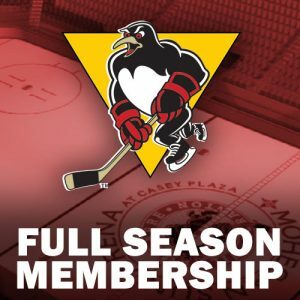 – Team captain Tom Kostopoulos played in his 600th game with Wilkes-Barre/Scranton on Saturday, becoming the 14th person in league history to appear in 600+ contests with one club. 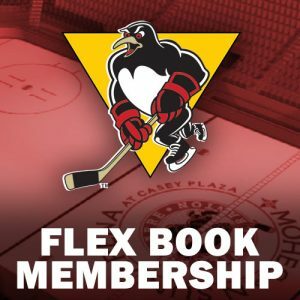 – Friday’s game was Steve Oleksy’s 500th professional game. 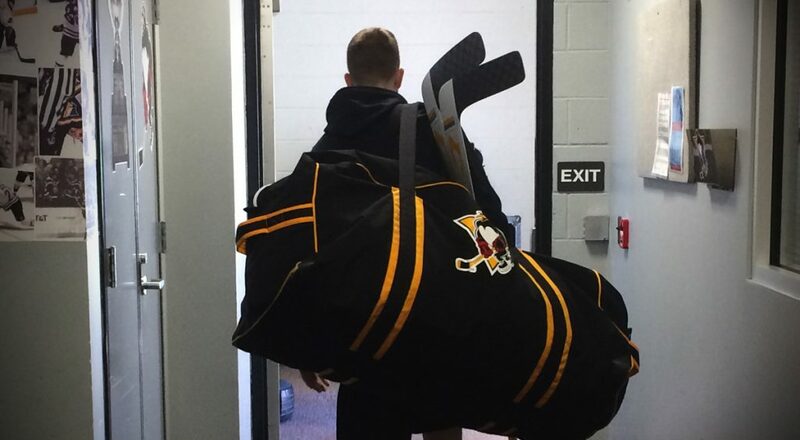 Oleksy has played in four different leagues over the course of his career (NHL, AHL, ECHL, IHL). – Rookie Teddy Blueger has nine points (2G-7A) in his last eight games. – Josh Archibald is the first Penguin to have three shorthanded goals in a season since 2013-14 (Brian Gibbons, Dominik Uher). 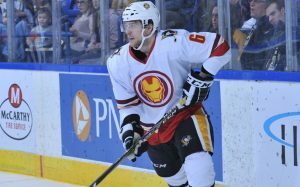 – David Warsofsky leads the entire AHL with a plus-31 rating. Wed, Feb. 8 St. John’s Mohegan Sun Arena 7:05 p.m.
Fri, Feb. 10 Hershey Mohegan Sun Arena 7:05 p.m. Sat, Feb. 11 Binghamton Mohegan Sun Arena 7:05 p.m.